Bees emerge in early spring… starving. Dandelions are richer in both pollen and nectar – and bloom earlier – than most other spring flowers. 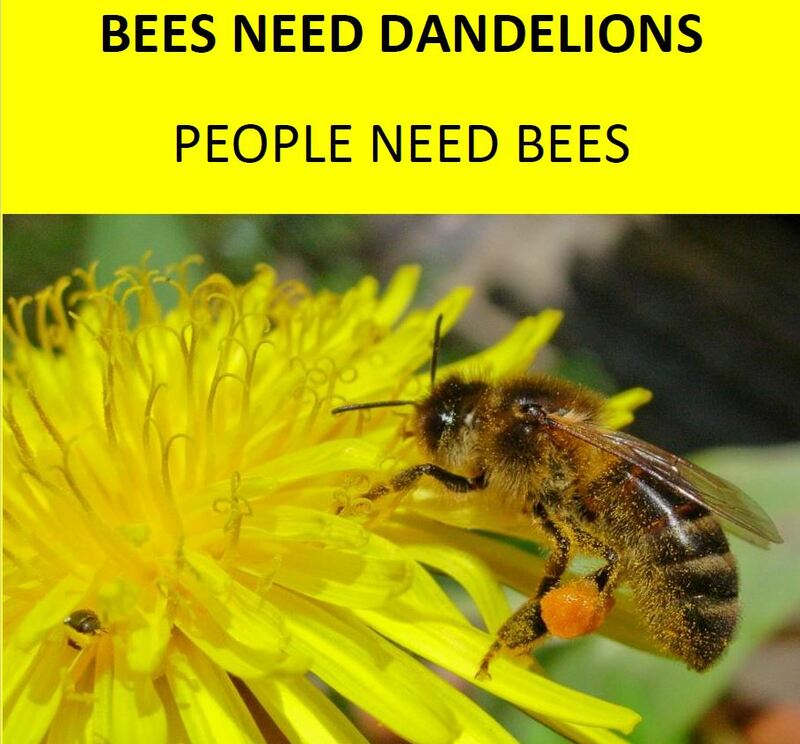 We need to ensure that dandelions aren’t treated as mere weeds as their pollen prolongs bees’ life. Copy and paste the text above and below and email it to your local council. 3) There needs to be a sea-change in policy on mowing. The important time NOT to mow is spring (until the start of May at the earliest). This leaves the much-needed dandelions for the hungry bees until other nutritious flowers are in abundance. 4) It is essential, too, to let local residents know why this is so important. Dandelions aren’t mere weeds – their role has been accepted in many European cities already, e.g. Paris. Dandelions return in autumn and the nectar will ensure plenty of honey for survival. Dandelions shouldn’t be the gardener’s enemy – they are fantastic for honey-bees, bumble-bees and every other pollinator. 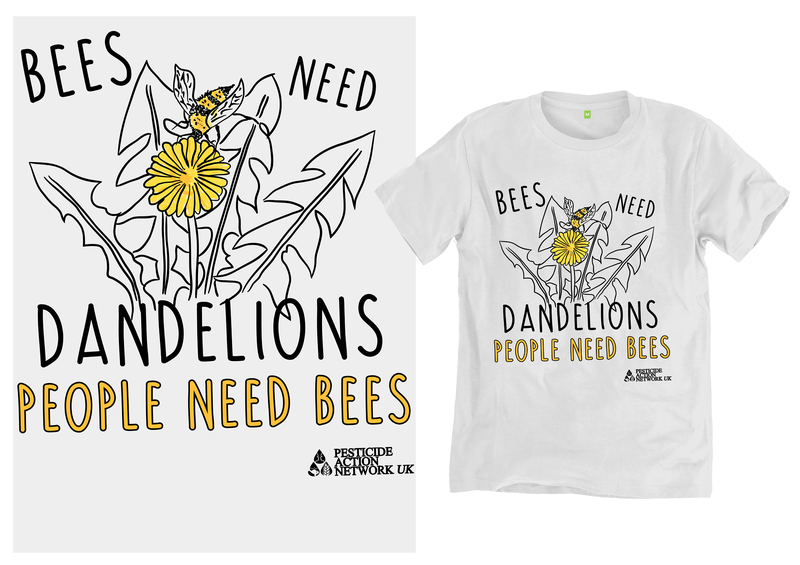 No bees … no pollination … no fruit and veg … no homo sapiens. Alternatively, print, send and distribute your own postcards. Download the front of the postcard here and the back here.